Phase one is complete. Phase two is in-process. See a bird’s-eye view of the construction project. Watch an animated video of how our new hospital will be constructed. 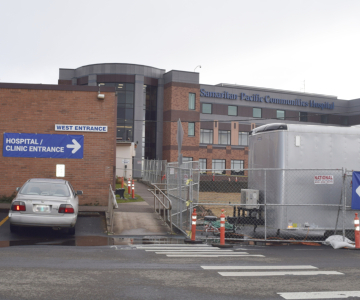 The Pacific Communities Health District Foundation has committed to raising $1 million for vital medical equipment, especially for hospital departments serving vulnerable populations within our local communities. Join us with a financial gift to help high quality patient care in our community. The new Samaritan Pacific Communities Hospital will be modern, efficient and flexible enough to adapt to the rapidly changing nature of health care delivery and will continue to provide high quality health care here at home for our diverse coastal community. With a newly constructed three-story hospital facility and a complete renovation of the existing hospital structure built in 1988, our integrated medical campus will bring together specialty departments, ancillary services and outpatient clinics, providing for optimal patient care, greater efficiencies in our workflow, enhanced patient safety and increased flexibility to grow into the future. This new facility will shape how we care for our community - ways that, more than ever, put the patient at the center, the ultimate reason we are here. 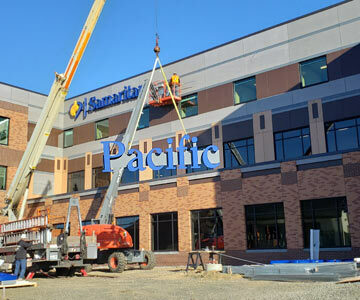 Track the progress of the new Samaritan Pacific Communities Hospital project through these regular updates. We welcome your questions and comments about the hospital project. Use this form to share with us! Thank you! Use this form to ask us questions, or offer suggestions and comments, about the new hospital project. May we contact you for further comment? Would you like to receive new hospital updates via email? How will the new hospital benefit patients? The current structure does not have room for growth, making it difficult to add physicians or treatments to meet the diverse health needs of the community. The original hospital is more than 60 years old and limits the installation of new health care technologies that would offer patients the best care possible. Additionally, the hospital needs to be updated to current seismic, ADA and energy efficiency standards, making it safer for patients. How much will the new hospital cost? The total cost that has been allotted for building this project is $57 million. Who is paying for the new hospital? 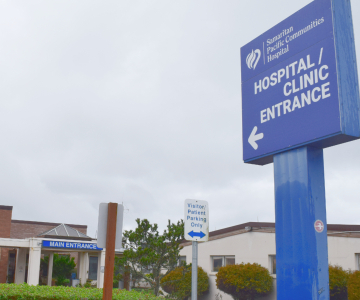 In May 2015, voters from throughout the Pacific Communities Health District approved Bond Measure 21-163 to finance construction of a new state-of-the-art hospital. The district has issued 20-year general obligation bonds for new and updated hospital facilities. The cost to residents is no more than 98-cents per $1,000 of assessed property value. That means if you own a property with an assessed value of $150,000, you would pay $147 annually. However, with greater service capabilities and more clinical specialists available right here at home, residents won’t need to travel to the valley for their health care, which can cost more than $100 per trip. Why is the community paying for this? 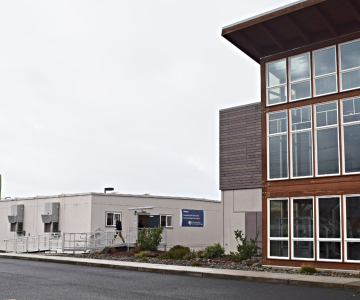 The hospital buildings are a public asset, owned and overseen by the Pacific Communities Health District. Facility additions are funded by the district. 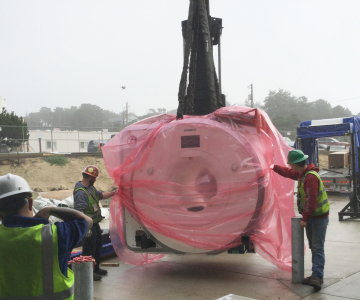 Samaritan Health Services pays for the equipment used in patient care. Since 2002, Samaritan has invested more than $16 million in new equipment and has budgeted an additional $10 million to equip the new facility. Additionally, Samaritan pays ongoing maintenance costs for the hospital. Why is it important to be a Critical Access Hospital? This federal designation is designed to help small, rural hospitals remain financially viable and pays them a higher rate of Medicare reimbursement. In order to maintain the designation, CAH hospitals cannot operate more than 25 inpatient beds. 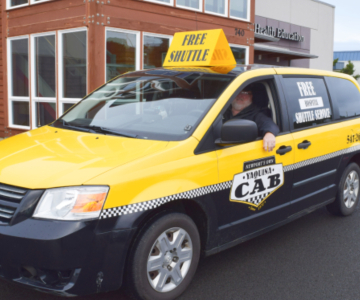 There are 25 CAHs in Oregon, including hospitals in Lincoln City, Tillamook, Dallas, Florence and Lebanon.